There is a song I used to sing as a young girl that said, “This little light of mine, I’m gonna let it shine.” Each of us has a light inside us which is intended to shine brightly in every aspect of our lives. Our conversations are designed to help your light shine. Regardless of whether you are coming from a specific spiritual tradition or practice, or simply looking for meaning and inner guidance, our conversations are about helping you tap into your own wisdom and relationship with your higher power! In our conversations, I will listen deeply to your story and the challenges you face. Through our conversations, we will listen together to your life, purpose, spiritual beliefs, and current situations. We will work together to uncover the beliefs in your life which keep your light from shining and then work to remove them as you are ready. We will work together to help you develop a deeper relationship with self and with your Higher Power, however, you define that. Through the development of spiritual disciplines and tapping into your creative energy, we will bring forth your inner wisdom. In doing so, you will notice the transformation beginning in your life through the renewing of your mind. Helping you develop the skills to tap into and fully develop your inner wisdom. Helping you to become the personal artist of your life. Sharing art images, poetry, and scriptures to inspire your journey. Nurturing your creativity and particular gifts. Creating space for “aha!” discoveries. 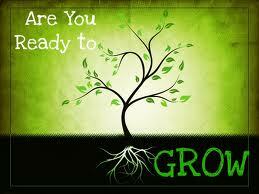 Encouraging your intentions for growth. Guiding your spirit and curiosity into richer spiritual practices. Noticing the movements and openings in your everyday life. Our conversations will be what they need to be for you. We will use the rhythm and type of conversations that best support your spirituality and development. We will generally meet monthly for approximately 1 hour. The length of our journey together can last for many years or a few months, depending on your needs. While we are journeying together, everything that is shared will be kept confidential. All spiritual traditions, life backgrounds, and orientations welcomed and honored. Our location is wheelchair accessible. I generally meet with clients once a month and sessions are $50 per hour. If you need additional time throughout the month, sessions are $40 an hour or .$1 per minute. Session can be held via phone, Skype, or in person. Schedule your appointment by clicking here. I look forward to journeying with you.